April is Maternal and Child Heath Month! Rotary International collects information from potential Rotarians through their website. 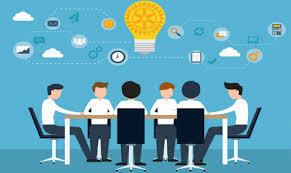 An individual wanting information about a Rotary club in her/his area will provide details to RI and RI in turn will provide that information to appropriate Rotarians in the district. These are people LOOKING to join a Rotary club and it is important to contact them and extend an invitation to visit one or more clubs depending upon the area. When a prospect has been contacted by the District Membership Team or an Assistant Governor, the prospect is assigned to an appropriate club and an email is automatically sent to the club president, club secretary, and club membership chair. One of those individuals must log in to My Rotary to obtain the contact information for the prospect so s/he can be invited to a meeting. Additional instructions for accessing prospective member leads can be found by clicking HERE. Additional questions? Contact your membership team representative. Rotary can automatically verify many of your club’s achievements if you keep your club and member information up-to-date in My Rotary. You’ll use online tools like Rotary Club Central to inform Rotary when you achieve other goals. Rotary’s vision statement: why should you care? Last June, Rotary's Board of Directors and Trustees approved a new vision statement for the organization: "Together, we see a world where people unite and take action to create lasting change — across the globe, in our communities, and in ourselves.” Stephanie Urchick, chair of Rotary's Strategic Planning Committee, explains what went into arriving at that statement, and how you can help us chart a course for Rotary to thrive in the years ahead. The advent of social media means that you can reach your audience directly and have a two-way conversation with each one of them. Now, instead of writing a message about your post as if you were delivering a speech, you now can make the style more personal. Whether or not you are new to Facebook, Twitter etc., there need to be a plan, and engaging content. Have at least two active admins for your Rotary Club page. This way, if one person moves, leaves Rotary, etc. the user name and password are accessible. Since 1988, we’ve seen a worldwide reduction in polio cases of 99.9%. For more than two years, we’ve seen wild polio cases in only two countries, Afghanistan and Pakistan. The 144th Session of the Executive Board is meeting from 24 January to 1 February ahead of the World Health Assembly in May. Polio was one of the main talking points in the opening speech by the WHO Director General and current Chair of the Polio Oversight Board, Dr Tedros Adhanom Ghebreyesus. Concurrently, he also had a stakeholder consultation where he stressed on the need for strengthened and systematic collaboration between partners, health, and non-health actors, and committing to transparent long-term budgets for eradication efforts. Nigeria – two circulating vaccine derived poliovirus (VDPV2) positive environmental samples. Your work, your dollars, and your commitment will make this happen! Thanks for all you do to eradicate polio. In 2011, Rotary launched an initiative to strengthen our image, expand public understanding of what we do, and engage and inspire current and prospective members, donors, and partners. 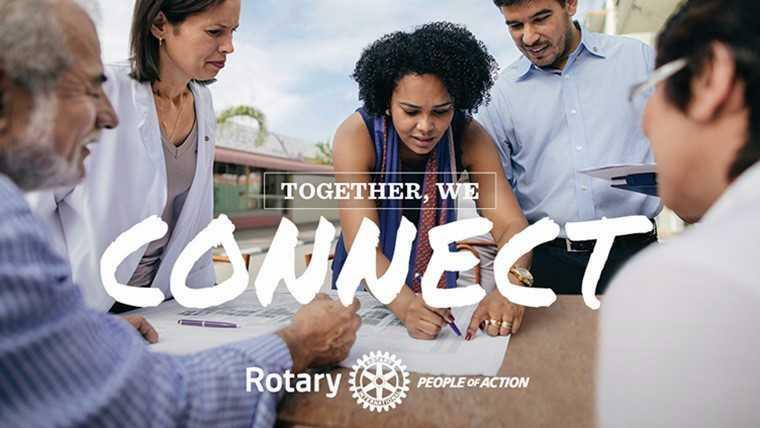 As part of that effort, we established an internal definition of our brand, confirming Rotary as the organization that joins leaders from all continents, cultures, and occupations, who exchange ideas on solving some of the world’s toughest problems, and then take action to bring lasting change to communities around the world. Rotarians have been working hard to tell the story of our impact in their communities. Thanks to their efforts, our public awareness levels globally have grown from 60 percent in 2012 to 75 percent in 2015. Check out Rotary’s new public image campaign, People of Action. Now available at the Brand Center.